Thank you for your interest in volunteering for the 2019 Walk MS Tulsa event. Please choose your preferred volunteer position from the list below. Please contact us if you have any questions, and thank you for your support! I'll be bringing one of my friend. 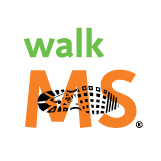 I am a 20+year volunteer with the MS Society!